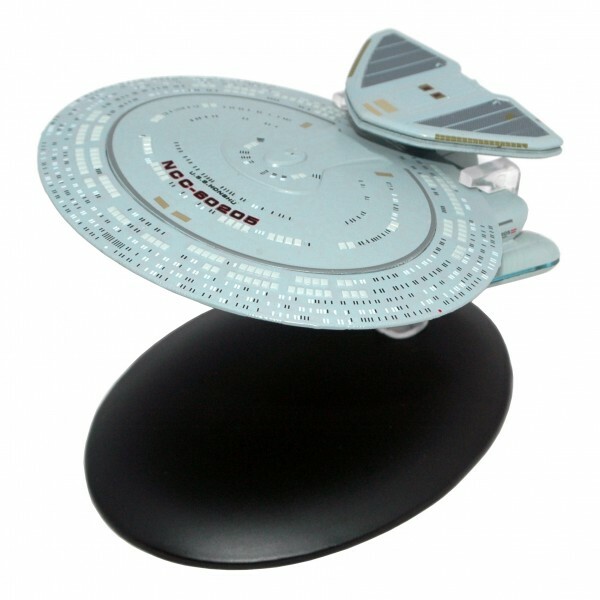 The latest addition to the Star Trek Official Starship Collection is the Nebula-class model ship, a type of Federation starship in use by Starfleet in the 24th century. The Nebula-class used many of the same components as the Galaxy-class but they were arranged in a completely different way. The ship made its debut in the debris field in 'The Best of Both Worlds', but only the most eagle-eyed of viewers would have seen it. It made its full debut in 'The Wounded', when the design was used for Captain Maxwell's ship.